Hygienic: There are no chances of contracting diseases, infections, or fungus. 100% disposable. Faster: Nail care is faster than the traditional soaking technique, done in 10-15 minutes instead of 30-45 minutes. Affordable: You get a great manicure or pedicure for a fraction of the cost. Practical: A kit to be used by professional salons or at home by yourself. Quality: All of the components are made of carefully selected materials designed to provide great results. Availability: Professional Bulk Packs and Retail Sachets. 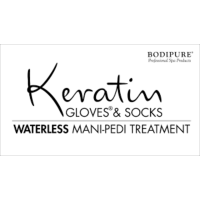 The simple answer – Keratin rich gloves and socks that are loaded with intensive, antiseptic, fortifying emulsion to strengthen nails, soften cuticles and moisturise hands and feet. An easy option for a luxurious add-on treatment for your clients. Formulated with 100% vegetable active ingredients derived from renewable sources. 100% disposable and made in Brazil. Nail Strengthening – Keratin a fibrous protein that strengthens nails and skin, preventing breakage. UV Protection – Lipex PreAct® a unique photo-protective emollient, protecting and reducing damage caused by UV rays. Antiseptic, Anti-fungal, Anti-inflammatory - Copaiba Oil is a potent tropical healing botanical. Antioxidant – Vitamin E – helps prevent oxidative stress to the body’s cells. Deep Moisturizing – Urea is naturally present in healthy skin. It is one of three natural moisturising factors (NMF) in the outer horny layer of our skin. Urea is strongly hygroscopic (water-loving) and draws and retains water within skin cells. 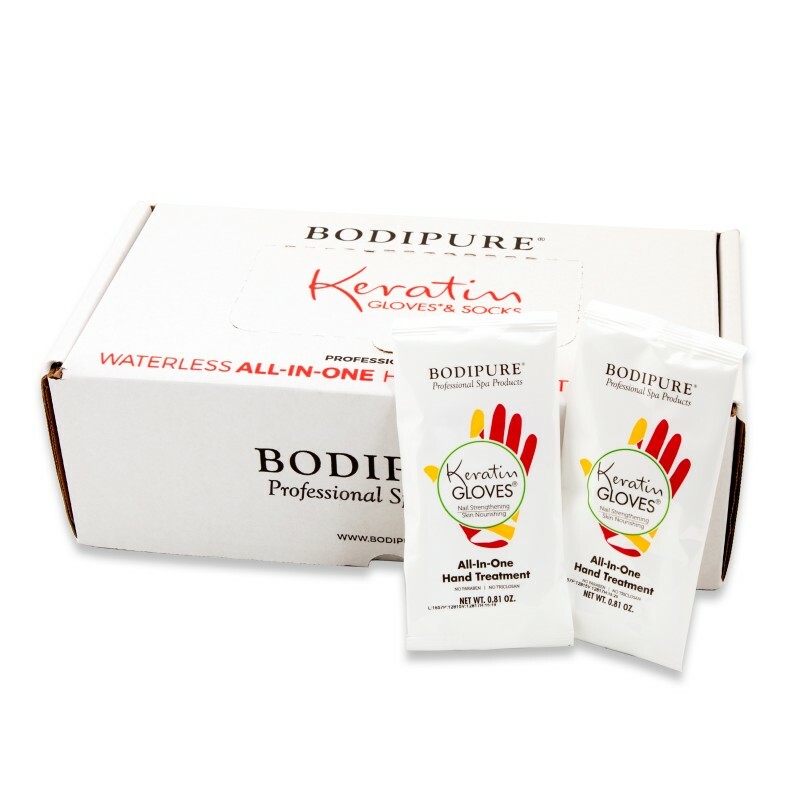 NO Parabens, Sulfates, Phthalates or Triclosan. Formulated with 100% vegetable active ingredients derived from renewable sources. 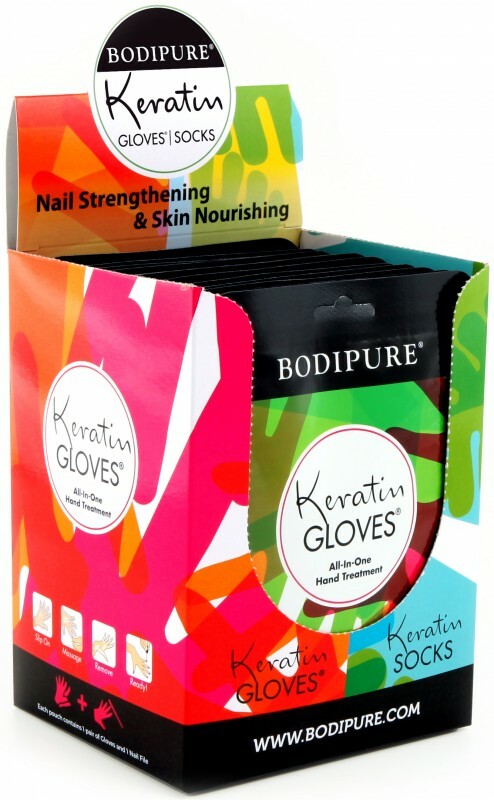 These self- activating, Keratin-rich gloves and socks are loaded with an intensive, antiseptic, fortifying emulsion to strengthen nails, soften cuticles, and moisturise hands and feet. 1. Gloves/Socks can be pre-warmed (towel warmer) or chilled as needed. 2. Cleanse yours and your client’s hands before using this product. 3. Remove any existing nail polish, if nails are painted. 4. Shape and file the nails. 5. Slip-on moisturising gloves/socks and massage cuticles. Let rest for about 3 minutes. 6. Cut off the tip of each glove finger or sock toe and work on the cuticles with the cuticle stick. 7. 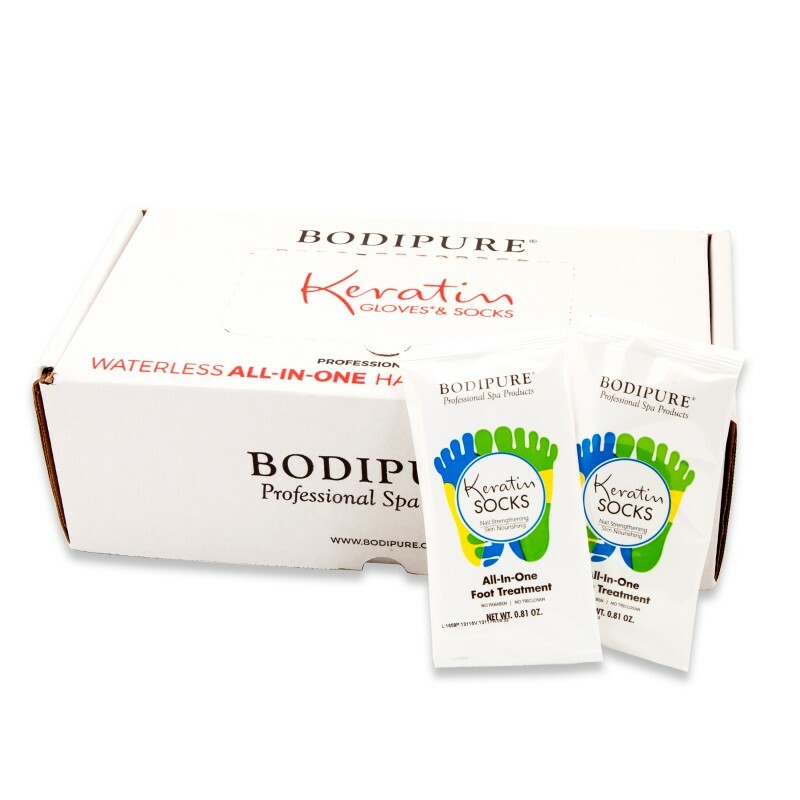 Slide gloves/socks off and massage excess intensive nourishing cream to moisturise forearms and legs. 8. Wipe off the excess cream from the nail bed. 9. Repeat the same procedure on the other hand/foot. 10. Apply the base or nail polish as usual. This is really a great option for giving your clients a waterless manicure or pedicure without skimping on the details. As an added bonus you know that the lotion is already correctly portioned out which saves time and cost! AVAILABLE in both cost-effective Professional Bulk Packs and Retail Sachets.